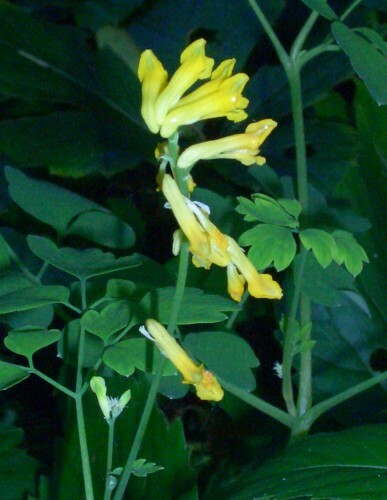 Yellow corydalis originated in Southern Europe but has started to grow wild in England and Wales. 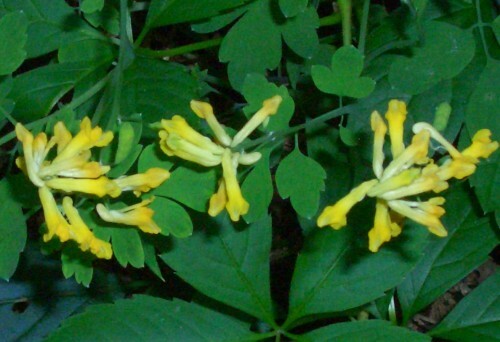 It seems to thrive in shade or part-shade. The stalks bear up to ten yellow, trumpet-shaped florets. The leaves are feathery with three lobes.